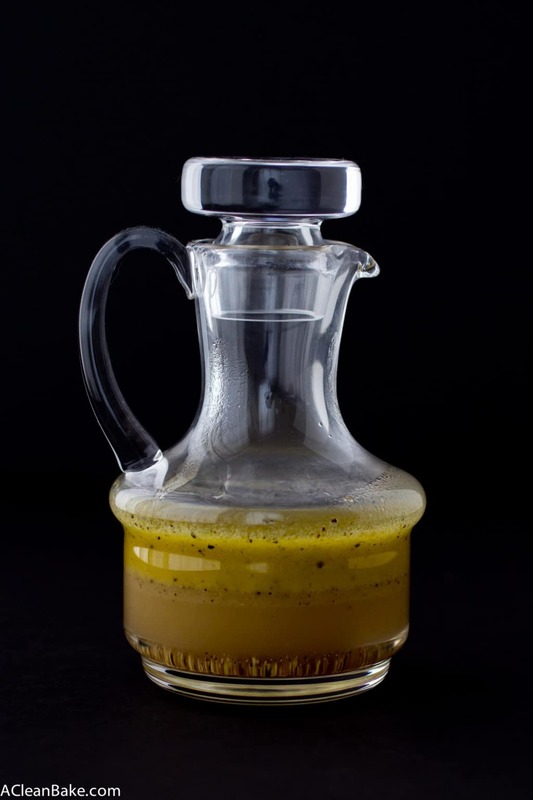 You have all heard this before so I am reluctant to mention it again but….I’m going to anyway: one of the easiest ways to reduce your sugar intake, cut out a processed food and the chemicals that go with it, and save money is to make your own salad dressing. You can make it with anything you have on hand (like leftover Thanksgiving cranberries) but really, all you need for this particular simple lemon vinaigrette is oil, vinegar, lemon juice and basic spices. I added a little honey to this one to cut some of the sourness of the lemon, but you don’t even need that if you like a little extra tang in your dressing. After roasted beets yesterday and now a vinaigrette, I’ll bet you can guess what’s coming next (and by next I mean in 5 minutes): yep, a hearty winter salad. Stick around. Combine all ingredients in a jar with a tight lid. Close the lid firmly, and shake vigorously for 15-30 seconds until emulsified. Taste, and adjust ingredients to taste. Use immediately, or store in the fridge in the lidded container. 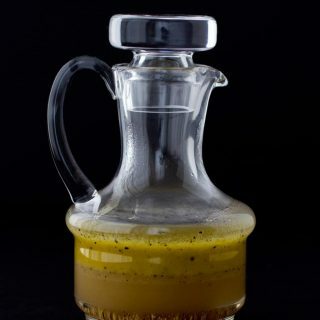 Bring back to room temperature and shake for 5-10 seconds before using leftover vinaigrette. Store in an airtight container at room temperature for up to 5 days, or in the fridge for up to 2 weeks. Yield: Approximately 3/4 cup dressing.